Libby's Little Addiction: April 2018 My Monthly Hero - Release Blog Hop + Giveaway! April 2018 My Monthly Hero - Release Blog Hop + Giveaway! I had to start with this adorable little mouse. She's just the sweetest! I love coloring with my Copics, and the entire 6" x 8" stamp set is so much fun to color! For the background, I created a reverse mask by die cutting with my Rounded Rectangle Infinity Dies on masking paper, and using the negative piece on top of my cardstock to ink blend. I finished this card with a coating of Wink of Stella on her outfit, black Glaze pen for trim and flower centers, and some of the clear sequins from the Seashore Sequin mix. Next, a card I got a little silly with, and had a lot of fun in the process! I mean really, who doesn't love a googly-eyed cactus?? 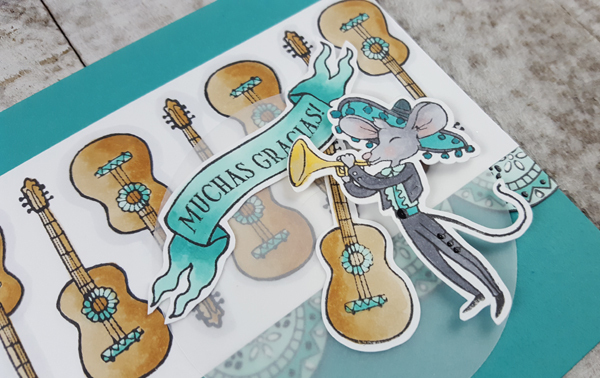 The little mariachi mouse is pretty darn fabulous, too. I combined lots of images from the kit for this card. Lots of Copic coloring, details in black Glaze and white gel pens, and some vellum behind the focal point images. How about some hot peppers for you hot mamas out there? 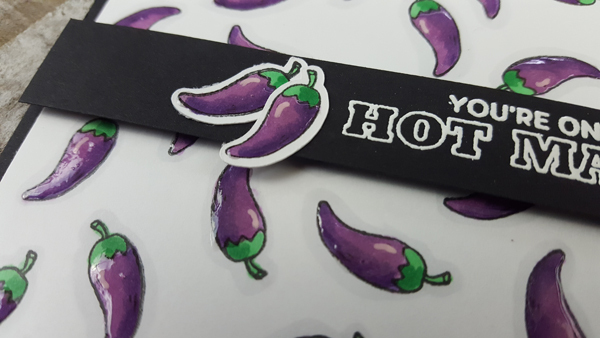 The message is white embossed, and some Crystal Clear Lacquer Pen was added to all of the peppers after Copic coloring, and drawing in the little white gel pen "shine line". And here's a look at the full kit. I didn't even tell you about the AMAZING inks included in the kit (see the Hero Arts post for a photo I took of those! ), and that GORGEOUS background frame die. It was shared by Janette in this Countdown post. And now it's time to hop! I'm the last stop on the hop, but I'm certain there's been tons of inspiration before me. Be sure to visit all of the blogs and leave comments as you go - one lucky hopper will win a kit! So, I didn't really know what to do with this new kit, but your googly-eye cacti and hot mamma peppers have convinced me this will be a fun kit! Really cute cards! I love the funny ones! Fantastic set of cards with this amazing kit, Libby! Especially love your cacti trio with the google eyes!! WoW! These are so cool! Love the gorgeous backgrounds you've done, purple chilis and googly eyed cacti!!! 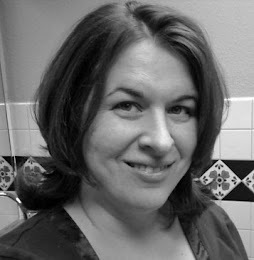 Libby you may be the last in this blog hop, but you didn't disappoint. In fact, I find your cards rekindled my liking of this HA's kit and accessories. Your last "red hot mama" card with the peppers is priceless. Love how you took that little stamp and made it note worthy! 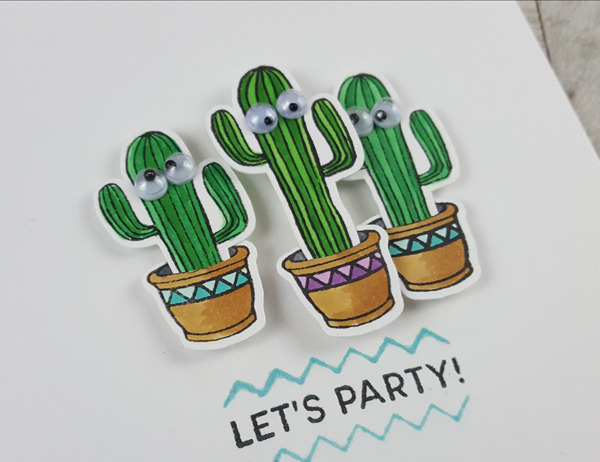 Such wonderful colouring and imaginative touches to your cards like the google eyes on your cactus. Or is it cacti? What fun! 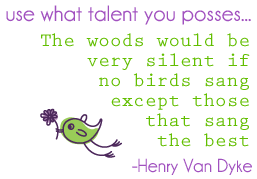 Thanks for sharing your many talents and inspiring me to go back to my craft room and play! The googly eyes on the cacti made me laugh out loud! What fun cards and such an amazing variety of styles! 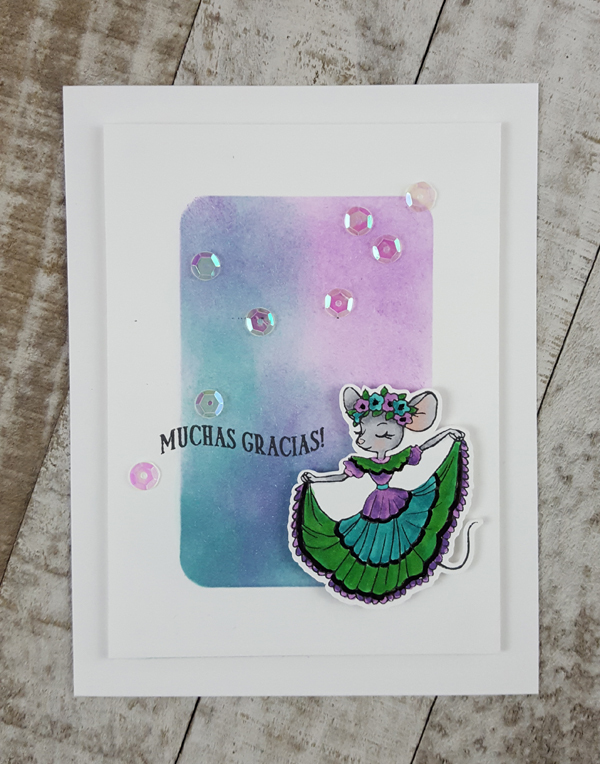 Love the purples and teals - I need to get back to including those in my cards a bit more. Great job! 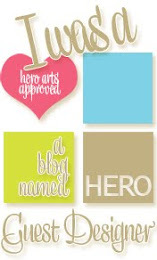 Thanks for providing us inspiration on the blog hop today! Ha! 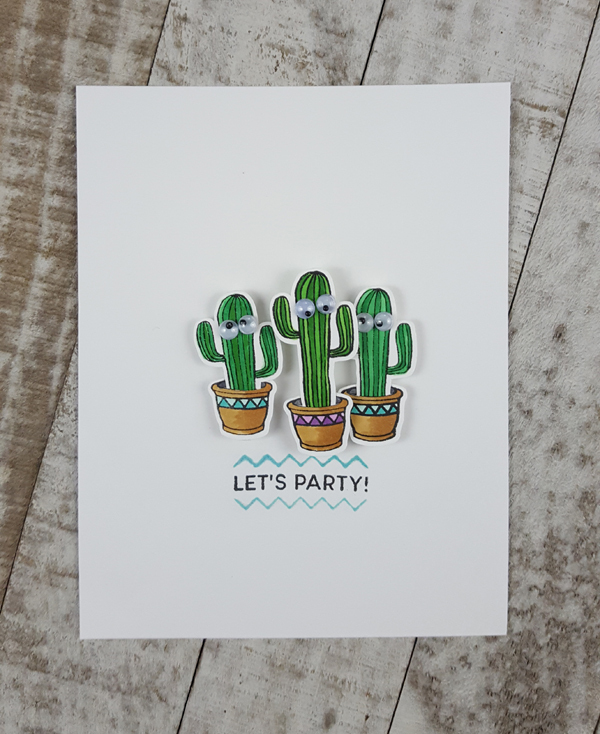 Love your cactus card and the eyes! Cute! 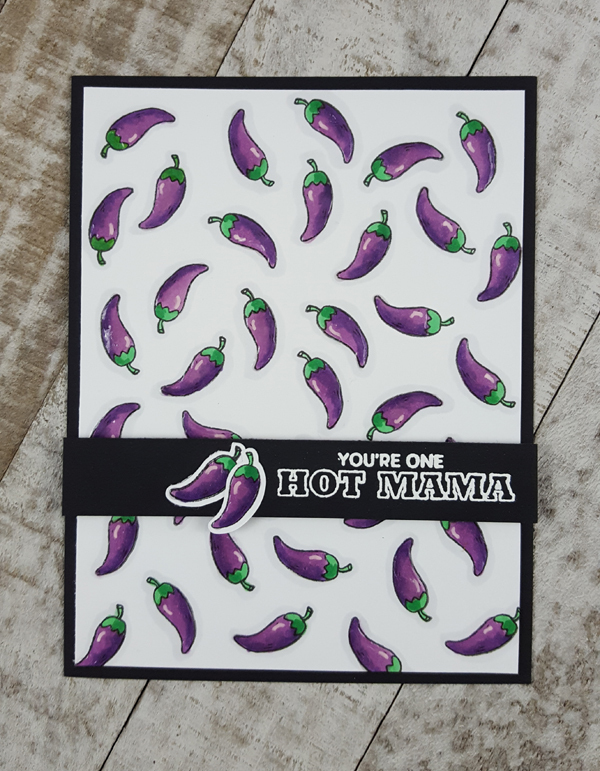 And the hot, purple pepper card is so eye-catching with those gorgeous colors! OMG those googly eyed cacti and the purple peppers are cracking me up! 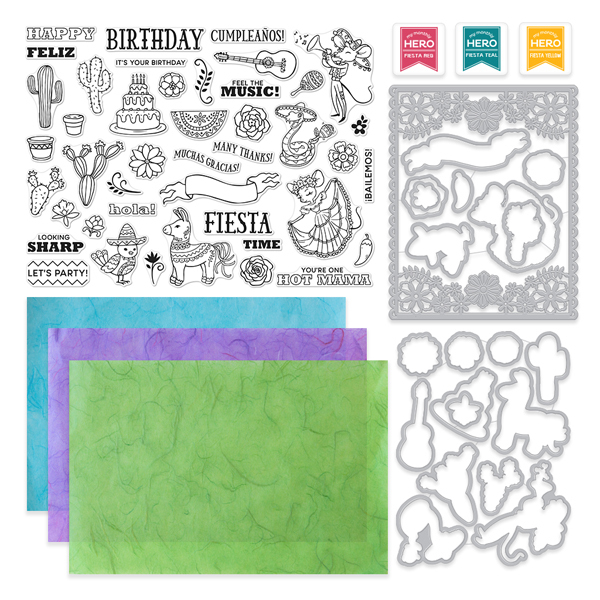 At first I thought this set was just for Cinco de Mayo but not with One Hot Mama it's definitely a mothers day card resource! Such awesome cards! Thank you for sharing! Awesome cards. Love the purple peppers. Your cards are terrific--the mouse with the guitar--just awesome! I need to get this kit! Awesome cards! I love the mouse with the guitars. Such a fun way to use that stamp. Also the hot purple peppers are so cute!!! And the googly eyes are just perfect on those cacti! Thanks for sharing! Cacti with eyes too cute. I'm gonna love this kit. They're all fabulous but I love love love the purple peppers! Oh my gosh!!! The cutest! LOVE that cactus card!!! Your cacti are hilarious! What a fun kit!! Beautiful cards, love the purple peppers. Omg I love the little Google eyed cactus card hands down adorable. I also love the light chic colprs of the girl dancer card. These cards are crazy cute. All of your cards are super cute! Love them! So cute. Love the chili pepper card. They are all great. So creative! 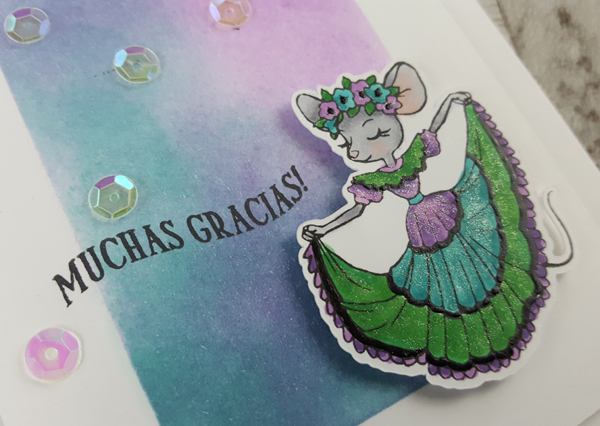 The senorita mouse is adorable. Mas bonita! I love the purple peppers!! Fabulous cards with such s big variety. Love the google eyes on the cactus. They made me laugh. I can’t get over how unique and fun this kit is. Wow!!! Your cards are really adorable and so funny!!! Love the eye's on the cactus! Thank you for all of your adorable and cute cards! I love them all!! This Hero Art's monthly kit is like A Party In A Box! Wow! Your cards are fabulous. Those google eyes on the cacti add a special touch. Wonderful cards and my favorite is the cacti with their googly eyes! These are fantastic cards! I have to say the purple chili peppers are so fun! Fabulous cards Libby love this inspiration and cant wait for my kit to arrive. Libby, these are all wonderful! Wonderful card designs. Love the googly eyes on the cacti. 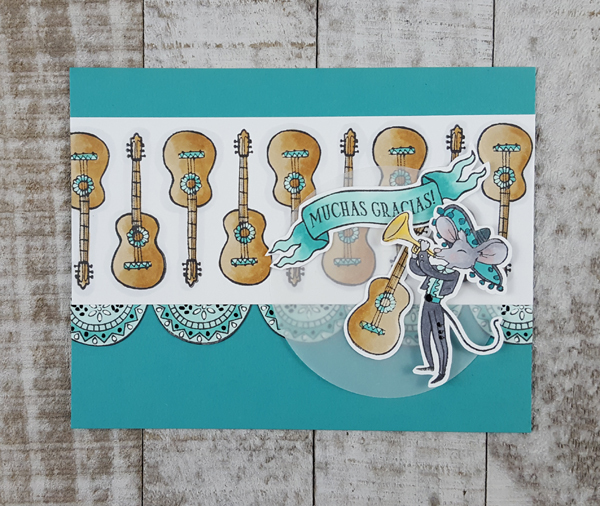 This kit includes so many adorable stamps...love this clever theme and all of your cards, ‘hot mama’! wow these cards rock! love the colors! i love this set and kit! Love all your cards so much! But the guitar one is fabulous!! Great cards! Love those adorable googly eyed cacti! AWESOME cards! I especially love the sweet dancing mouse lady! Your cards are awesome! I like the color combos in the first card. Cool tones are my fav. Of course the purple chili’s are great too! I would have never thought outside the box and color them a different color. So UCB inspiration in one blog, thank you! They saved the best for last! Oh Libby...FABULOUS cards. Not sure I would use those cactus in the kit but your design with the googly eyes cracked me up. What fun! What fun cards and such a variety of styles. Love that you only used the kit! It really shows how versatile this kit is. Love i!! Love all your cards, with beautiful coloured images. Great job! Such nice cards! Both of those mice look great! The googly eyes on the cacti are such fun. The purple peppers look super cool and the color is very nice.